It is hard to believe Charlie Chaplin felt this way (and said these very words) about his creative process. Just pick out any one of the movies he’s directed and starred in and you know in less than five minutes you’re in the hands of a master. Add in the stories about Chaplin’s extreme meticulousness on set, and it becomes more convincing to find his statement on process more hyperbolic than literal. And yet his “spontaneous” great ideas have made him one of the last silent film geniuses still relevant to mainstream audiences. You can find millions of YouTube views for both the climactic speech in The Great Dictator and the honorary Oscar Chaplin received in 1972. You can also find seven Criterion releases of Chaplin films, showing how much he is still adored by film nerds. A serious film education can be had in his feature films alone. And while there’s nothing wrong with watching City Lights or Modern Times yet again for a film class or for personal inspiration, his early Little Tramp films remind us that the short film form, when done right, is really its own animal. 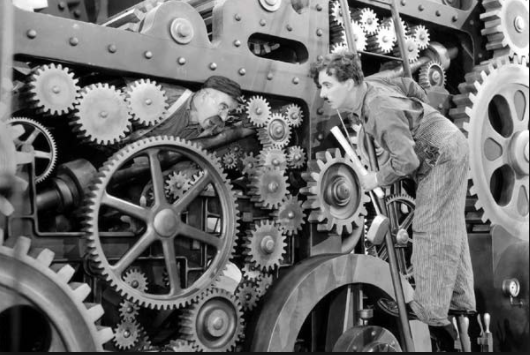 Our own ‘Modern Times’ too often treat short films like cogs in a factory. Short films have been long considered the unofficial calling card for a young director hoping to break into Hollywood, and a trailer for the kind of career a studio (or streaming distributor) can expect that director to have. When ambitious, aspiring filmmakers send their short films to festivals now, they must do so in hopes of recouping enough funds or backers to turn that short film into a feature. Our future Spielbergs and Nolans are expected to create original short films…as long as they still look and feel like a feature. This false expectation often keeps our best and brightest short filmmakers from going for material that is truly original. Short films were a stepping stone for Charlie Chaplin’s career as well, but he chose to treat the short film as more than a means to an end. In 2018, over 100 years later, Chaplin’s greatest shorts still have a thing or two to teach us about not conforming to the short-as-feature model. Sound familiar? If you’re a working screenwriter or film student, you’ve likely had the above concepts beat into you. They are pillars of great storytelling and usually considered the non-negotiable elements of a screenplay…and for good reason! They usually result in stories that really work (and make some serious money!). 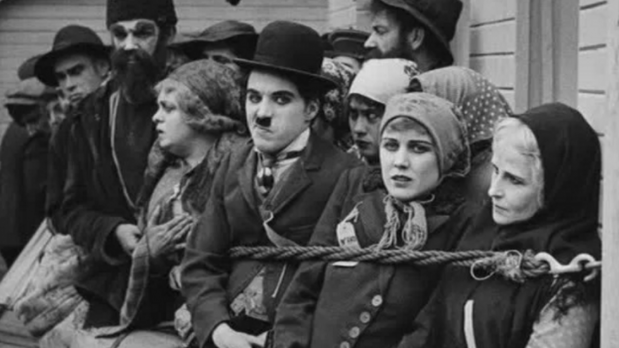 Yet Charlie Chaplin’s 1917 short film The Immigrant abandons many of the expected tropes. Think that your main character has to undergo a tremendous character arc in less than 30 minutes? Or that you must include a complex, non-linear timeline to stand out? That you need a clear-as-day resolution at the end to button everything up? Chaplin didn’t, and he showed us why while keeping us laughing. Comic Hero, Tragic Coward, or Both? One of Chaplin’s final two-reel comedies for the Mutual Film Corporation, The Immigrant, was a transitional film for him. He was about to leave the for-hire work that had dominated his career thus far, and enter into more independent, personal projects. 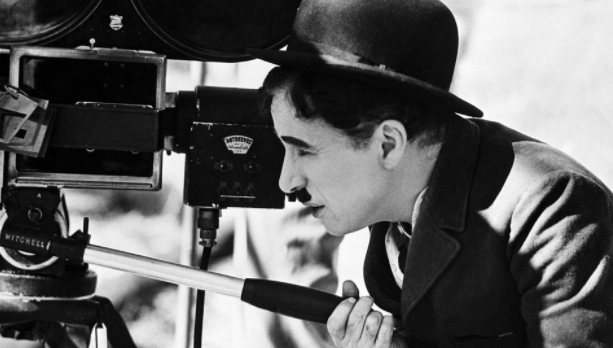 But before ultimately abandoning short films for higher profile projects, Chaplin proved why original short films were worth making in the first place. In The Immigrant, Chaplin’s iconic Tramp character finds himself on a ship bound for America with other huddled masses. If this were a short film today, the journey would surely have to be as figurative as it is literal. Yet Chaplin keeps the Little Tramp fundamentally the same from Point A to Point B. Our comic protagonist may end up with the girl at the end, but he remains a playful scoundrel who hasn’t learned any deep, important lessons about himself or life. There’s a certain undeniable tension, especially in light of the #MeToo movement, to the final image of the Tramp picking up and dragging his love interest into the marriage license bureau. Chaplin both affirms and subverts the idea of the heroic protagonist here, and to an effect that is equal parts comic and chilling. 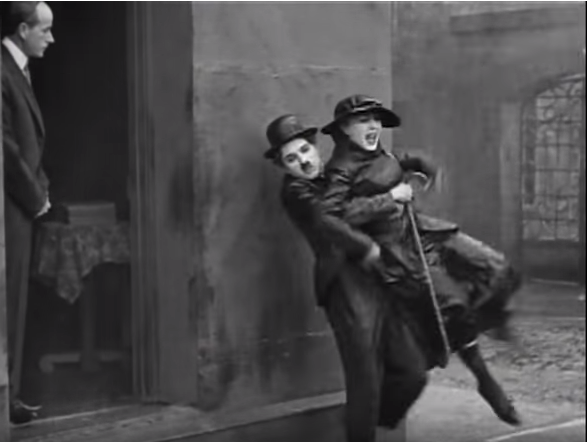 All along the film’s 25-minute run-time, Chaplin balances out the Tramp’s street-smart shrewdness with his large capacity for empathy, and lets life both reward and punish him for his efforts. The Tramp mischievously earns winnings from a card game, only to give them to a woman immigrant whose mother is dying. He finds a coin on the street, only to realize it went through his pocket before entering the restaurant to eat. With great simplicity and charm, Chaplin never lets his protagonist, or us, off the hook. Chaplin doesn’t film a straight narrative so much as he documents the timeless battle between Fate against Humanity, using gag after gag of the Tramp getting himself into and out of trouble (sometimes simultaneously) to prove the laughable unpredictability (and pitiable suffering) of life. 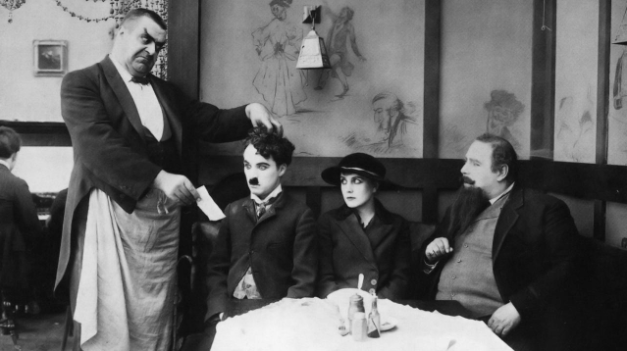 Whether he’s gambling on the ship or trying to get out of paying his dinner bill, Chaplin always roots the physical comedy in his character’s paradoxical nature and the struggle of life. That Chaplin explores these themes without ever having to wear them on his sleeve is a testament to his ability to conceal as much as he reveals. The story also has the simplicity of a children’s book, with the entire back half of the film centering around the Tramp’s attempt to impress his love interest and avoid getting pummeled by the sniveling restaurant waiter-staff wanting his money. The gags get more and more exaggerated, but never get harder to follow. In this way, the relationship between plot and character remain rich in subtext despite its surface simplicity. Chaplin’s ability to communicate complex, original ideas using simplistic storylines, funny situations, and identifiable characters is something most short filmmakers still strive for today. Yet, the reality of the business in Chaplin’s time made it so that his short films, no matter how singular and praiseworthy, would be distributed in bundles and quickly forgotten. Ironically, Chaplin became the most noteworthy early example of a short film career becoming a calling card. Though the business hasn’t changed much in that regard, time and chance have allowed us to see Chaplin’s The Immigrant,and his other silent shorts, not as a calling card at all, but as trailblazers in the medium.